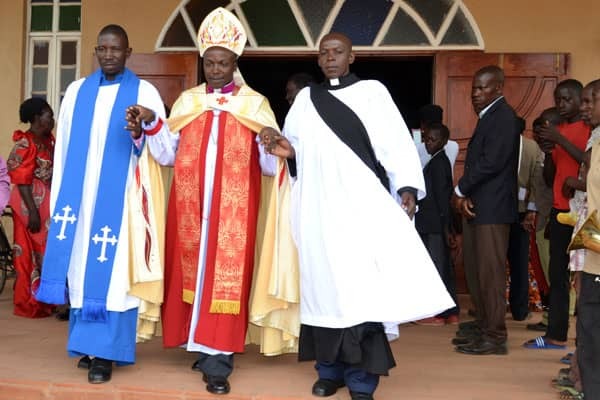 Bishop of the Anglican Diocese of Luweero in Uganda, Elidard Nsubuga has encouraged medical personeel to adopt the use of prayers along with medicine to get total healing for patients. Bishop Nsubuga gave the admonition on Wednesday while speaking with health workers at Luweero Health Centre IV on Wednesday. The bishop explained that a patient’s full healing can only be attained by divine intervention as it is God who blesses the efforts of health workers. In his words, “We need to allocate time for spiritual counseling and devotional prayer hour at our health facilities. We need to encourage patients to understand that God is the chief healer. A spiritual counsellor is best suited to offer the message of hope and prayer for particular patients. The Church is ready to support medics in realising a holistic healing. “You will always receive patients who are depressed and counselling could be the first option,” the bishop added. He bases his statement on the fact that a spiritual counsellor plays an important role through selected application of a timely message of hope in the life of a patient. In reaction to the bishop’s advice, the officer-in-charge of the health centre, Dr. Sarah Ogobi, revealed that her staff have already adopted a holistic management approach for ailments. “The counselling unit at the facility is active with the staff now fully participating in the devotional prayers organised by the chaplaincy which was established by Luweero Diocese,” she said. The government has already penciled down the centre for elevation to a district hospital.